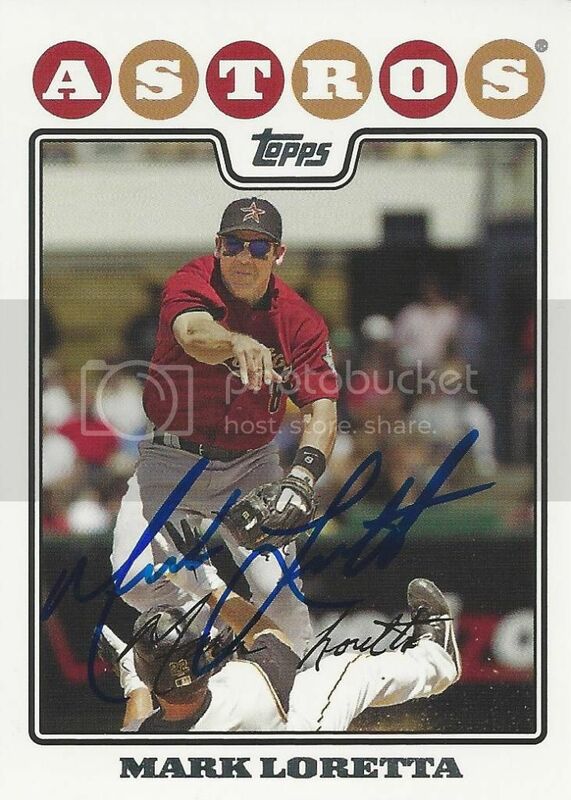 After about eighteen months, Mark Loretta signed and sent back his 2008 Topps card for our set. I was glad to get this one back. Mark was a pretty good player. He was a two-time All-Star and he won a Silver Slugger Award in 2004. After retiring Mark took a front office job with the Padres. Nice return and nice looking signature. It is always fun to get one back that after that long.